Brown spots on the skin due to contraceptives, what to do? Did you know that contraceptives can cause the appearance of skin spots (melasma)? Discover its causes and what you can do to prevent or avoid it. The consumption of contraceptives by women can cause a series of side effects not as beneficial or positive as one might expect to think, especially when their consumption is habitual and regular over time. For example, they can increase blood cholesterol, cause weight gain … or even cause more facial hair to appear. But, did you know that they can also affect the health of the skin? Women who regularly consume contraceptives, especially between 30 to 40 years of age, have a greater predisposition to suffer melasma, an aesthetic problem also known as cloth. 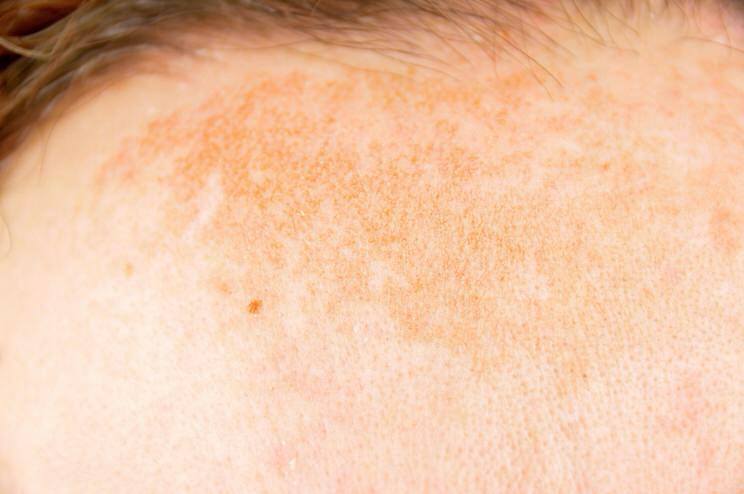 There are several causes that can influence the appearance of spots on the skin, especially in the area of the face. For example, it may be due to inadequate sun exposure, coupled with insufficient sun protection. That is, expose a lot of time to the sun (especially in the most “dangerous” areas of the day), without proper protection. But when the cause is due directly to the contraceptive consumption, this is due especially to the hormonal alterations that tend to cause this type of drugs or medicines. Why? It is known that contraceptives, due to their composition and effect on female hormones, tend to make the melanocytes more sensitive (that is, the cells that produce skin pigmentation). This causes the appearance of melasma, especially between the ages of 30 to 40 years. In fact, young women who start taking contraceptives during adolescence are rarely likely to suffer from this problem. How to prevent melasma or skin spots by contraceptives? We should not think that contraceptives are to blame for the appearance of these spots; that is, it is a direct cause. In fact, the only effect they have is to cause the melanocytes to be more sensitive to the action of the sun’s rays. Therefore, if you take oral contraceptives is very important to protect the skin from the sun with a sunscreen, and use a day cream in your daily beauty routine. But it is not enough to use any sunscreen cream. It is best to use a recommended sun protection index for the skin. And, also, renew the application every so often, especially if you’re going to leave home, so you do not go out on the street with your skin completely unprotected. Even if the sky is cloudy and it is not sunny, it is also advisable to apply a sunscreen before leaving the house. Use a suitable sunscreen, whose protection index is appropriate depending on your skin type. Therefore, sunscreens with a low protection index should be avoided. Apply the sunscreen every morning, after your usual beauty routine (for example, after cleansing your face and applying the routine beauty treatment). It is very important to apply sun protection always 30 minutes before leaving home. Renew every 2 hours the sun protection if you are away from home, in the street, or apply it again if you are going to go out again to the street. In this sense, the portable solar protection sticks are of great help. In addition to causing the woman to have a greater predisposition to suffer spots on the skin, contraceptives also have other effects. For example, they can cause the appearance of varicose veins since blood circulation is affected, especially at the level of the legs. It can, in turn, cause the appearance of other spots on the skin, known medically as another dermatitis. Finally, we must not forget the adverse reactions of contraceptives, among which we find the appearance of subcutaneous nodules reddish or violet, and that can be painful.